If you have a high deductible health plan, a health savings account (HSA) allows you to put aside pre-tax or tax-deductible dollars to pay for deductibles, co-payments, and qualified medical expenses that aren’t covered by your health plan, such as prescription glasses and dental care. The goal is to reduce your out-of-pocket medical costs. But you may be spending some of your HSA dollars on unnecessary or inappropriate care. Not only does inappropriate and unnecessary care waste HSA dollars, it can also harm patients. One study found that nearly 12% of patients with stable cardiovascular disease undergo inappropriate angioplasty and stent placement. These unnecessary stents can put patients at risk for blood clots, post-operative bleeding from anti-clotting medications, and artery blockages caused by scarring. Researchers have found that patients with chronic back pain are prescribed narcotics and referred for surgery rather than receiving anti-inflammatory medications and physical therapy, the treatments most often supported by clinical research. Approximately 30% of common surgical procedures, including hysterectomies and heart bypass surgery, are provided for reasons not supported by clinical research and may be harmful to patients who undergo these procedures. One-third of knee replacements are performed in patients whose arthritis is not advanced enough to warrant surgery. In these cases, joint replacement often does not significantly reduce pain or increase function. 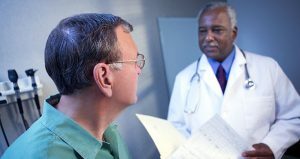 There are a number of different ways you can seek a second opinion. Some employers offer second opinion programs through the organization’s benefits plan. You can get a virtual or remote second opinion from a growing number of medical centers of excellence around the country. A health advisor can arrange a second opinion with an expert in the condition you’ve been diagnosed with. Your health insurance may be able to recommend physicians from whom you can seek a second opinion. If your second opinion suggests a different diagnosis or treatment approach, you can avoid the risks of inappropriate treatment and spending. If it confirms your original diagnosis and treatment plan, you can move forward with more peace of mind.